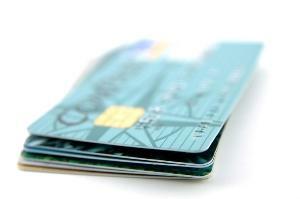 Are Providian Credit Cards Still Available? Once an industry stronghold, the Providian credit card became obsolete in 2008 when its then-issuer was seized by federal regulators. Its downfall is inextricably linked to one of the greatest bank failures of all time. Providian Financial Corporation made a name for itself by providing credit to people who were normally turned away from other companies, either because of low income or a poor credit history. The company emerged in the 1980s and grew into a powerhouse, with $37.66 billion in assets and 7,000 employees. Are HSBC Credit Cards Available? In the early 1990s Providian took high risks and hedged its bets by charging higher interest rates than competitors, offering secured credit cards, and mandating credit insurance. Though its practices were highly profitable, some were deemed to be unethical and even illegal, leading to hundreds of millions of dollars in fines and an avalanche of lawsuits in the late 1990s. Just as Providian tried to shift its focus to lower risk customers and sell off some of its higher risk portfolios, customers began to default on their loans. In 2001 the extent of Providian's fiscal woes became public, and its stock dropped by 92 percent. The company stabilized and continued to operate for a few more years, but never regained its previous stature. In 2005 Washington Mutual (WaMu) acquired Providian for $6.45 billion. Providian continued to operate under the same brand, but as a wholly owned subsidiary. WaMu had 13 million existing customers but no credit card offerings. This acquisition allowed them to cross-sell complementary products between the two customer bases. In 2008, near the beginning of the Great Recession, banks that were considered too big to fail began to do just that. Lehman Brothers filed for bankruptcy on September 15. During the next 10 days there was a run on WaMu, with customers withdrawing $16.7 billion. To stop the run, and protect FDIC insurance reserves, the federal reserve stepped in. It seized and auctioned the company's $307 billion in assets to JPMorgan Chase for $1.9 billion. Within months the Troubled Asset Relief Program (TARP) would bail out dozens of other troubled banks, including JPMorgan Chase, but it came too late for WaMu. The Providian credit card ended in two phases. The first was when was when WaMu acquired Providian Bancorp in 2005. The original Providian credit cards ceased to exist at that time. However, between 2005 and 2008 customers could still apply for and receive Providian-branded credit cards, but they were issued by WaMu. From a consumer perspective, little about the cards changed during that time. The final end of Providian cards came in 2008, when federal regulators seized and auctioned WaMu.